FDA Commissioner Scott Gottlieb, MD, got a lot of attention this past month when he delivered a speech touting the big promise of artificial intelligence for healthcare, and pledging that the agency has been reconsidering its approach to regulating AI-powered software and devices. 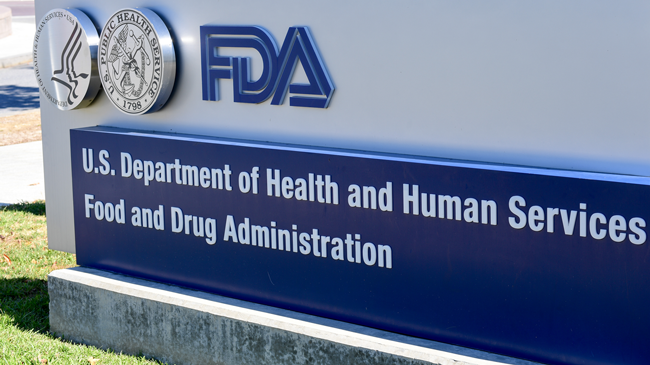 "One of the most promising digital health tools is artificial intelligence, particularly efforts that use machine learning," said Gottleib, explaining that FDA was "actively developing a new regulatory framework to promote innovation in this space." Indeed, this year has shown the agency willing to approve leading-edge technologies that were barely conceivable just a few years ago. In February, FDA gave the nod to a decision support software that uses algorithms help neurovascular specialists arrive at answers more quickly and speed time to treatment for patients. In April, it approved a pioneering medical device that leverages AI for more nuanced detection of diabetic retinopathy. "We expect to see an increasing number of AI-based submissions in the coming years, starting with medical imaging devices, and we’re working with experts in the field," said Gottleib. In addition, "we expect that AI tools can become even more predictive as additional real-world data is fed into these algorithms." As more and more companies develop new tools with an eye toward FDA approval, they'll need sound practices behind their development processes and sturdy algorithms based on good data. Joseph Guagliardo, partner at Pepper Hamilton LLP, specializes in technology and intellectual property commercialization, with a focus on emerging technologies such as AI and blockchain. FDA has made it "pretty clear that it's got a number of (approvals) in the pipeline," said Guagliardo. "And I know from having clients in this space that are looking for FDA approval that they are very bullish on their products and the prospect of getting FDA approval as a medical device in the AI space." He noted that, once specific types of devices gain approval, it generally "makes it easier for follow-on devices that are similar to get approved, assuming they're doing what they're supposed to be doing and have positive clinical results." So with its words and actions this year, FDA has signaled an "easier path for medical devices in the AI space to follow ones that have already been approved," he explained. "AI is maturing to a level where it's actually providing healthcare solutions, and certainly from a regulatory standpoint this is opening the door to really positive innovation in the healthcare space." In the near team, Guagliardo expects to see "an exponentially greater number of companies seeking FDA approval," so much so that may even have start impact agency's "ability to get to all the innovative products that are in front of them." As that backlog grows, providers have a "great opportunity" on two different fronts, he said. First, for the technology that's being at hospitals and universities, it's an opportunity to spin off some of this technology, because there's a real possibility they'll get FDA approval to provide some real solutions." More "it creates a great opportunity – and I know hospitals will be interested in this – for collaboration with a lot of these promising companies. Because what's critical to a lot of these machine learning and AI devices is the information that's given to the algorithms to make them smarter and train them. It's not just about the algorithms, it's about the data that's feeding them." Indeed, as Sujay Kakarmath, a post-doctoral research fellow affiliated with Partners Connected Health and Harvard Medical School, noted at the HIMSS Precision Medicine Summit earlier this month, it's important to evaluate the performance of AI technology in the context of their use cases. Simply put, data matters. And different hospitals manage data, well, differently. "Idiosyncrasies of a healthcare system can affect the performance of A.I. tools in unexpected ways," said Kakarmath. Guagliardo added that it’s important to partner with the provider side that has the data. "You could have two algorithms that perform differently, one from the other, but a big part of the success will be dependent on the partnerships they have on the provider side, who has the data. The clients that I advise right now are primarily watching what happens with the regulatory landscape,” said Guagliardo, gathering data so they'll be able to make sound presentations to the FDA eventually. "They're focusing on having the right relationships to get the right data." Moving forward, he said he expects those relationships to lead to more and more useful devices that stand a good shot at gaining FDA approval. "I think we'll see a greater number of lower-risk solutions," he said. "But I think we'll start to see an evolution where there are medical devices that will be used to diagnose more severe or higher-risk conditions. The FDA has been pretty clear that they're starting with lower-risk disease states and then they'll progress over time."